Admit it, you’ve missed us. I’ve got visions of people wailing and rocking, waiting for the update that just didn’t appear. Well, to be frank, I’m disappointed that there were no Princess Diana-esque walls of flowers created, or that no-one doused themselves in petrol and set themselves on fire on our front lawn. Honestly, people. No, the unglamourous truth was that we’ve both been a little under the weather – and I was out on the piss on Friday night – and needed yesterday to recover. Now see here, I’m not a big drinker – I tend to be an all or nothing sort of guy, so if I start drinking, I’m on it until I’m bundled into a taxi / arrested for lewd behaviour / do a Winehouse and choke on my vomit. It was supposed to be a civilised night, actually, and it certainly started off that way, with champagne in Hotel Indigo. That civilised chatter lasted about fifteen minutes before talk about bumhole waxing, black fluff and ‘dripping’ got underway and then the night never really got the glamour back. Brilliant night though, even if my mate did end up telling some poor, haggard looking woman with eighties hair and a very cats-arse-mouth (she was tutting at our conversation and rolling her eyes) that she looked like Enya. Taxi! I like to think I’m a pleasant enough drunk – I’m certainly not an angry drunk or – worse – the moaning, miserable sort – if anything I just become way too affectionate towards Paul. 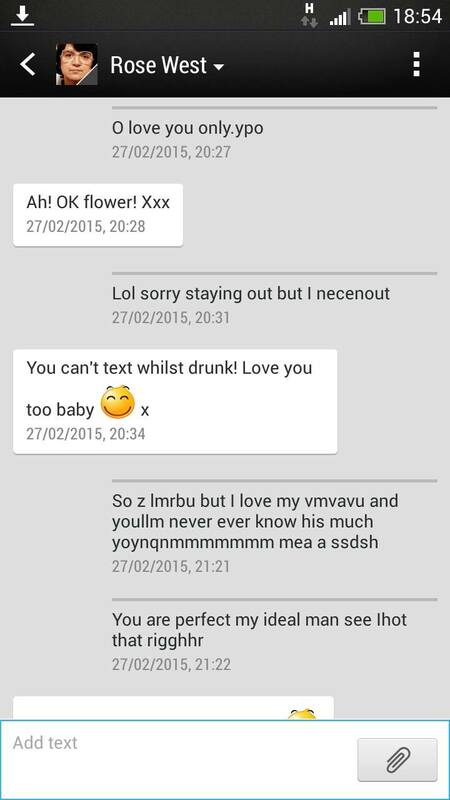 In the interest of full disclosure and to try and prove a point, here’s a screenshot of my texts to Paul on Friday. Bearing in mind I’m the type of person who will chew through his trousers with his own bumhole if someone so much as uses a LOL in a text message to me, I certainly let my standards slip after four bottles of champagne. when I got home, he opened the car door and I went tearing out like my arse was on fire because I was about to have a technicolour yawn, went headfirst straight into the side of the shed – and then was sick all over our front lawn. Tell you what mind, I felt right as bloody rain on Saturday after Paul cooked me a low-syn breakfast. Weigh in tomorrow and I think I’ll have put on, but hopefully Paul will have lost. But remember what I always say – we’re aiming to lose weight slowly, so if it goes up or down, it doesn’t matter. I’m certainly in credit. 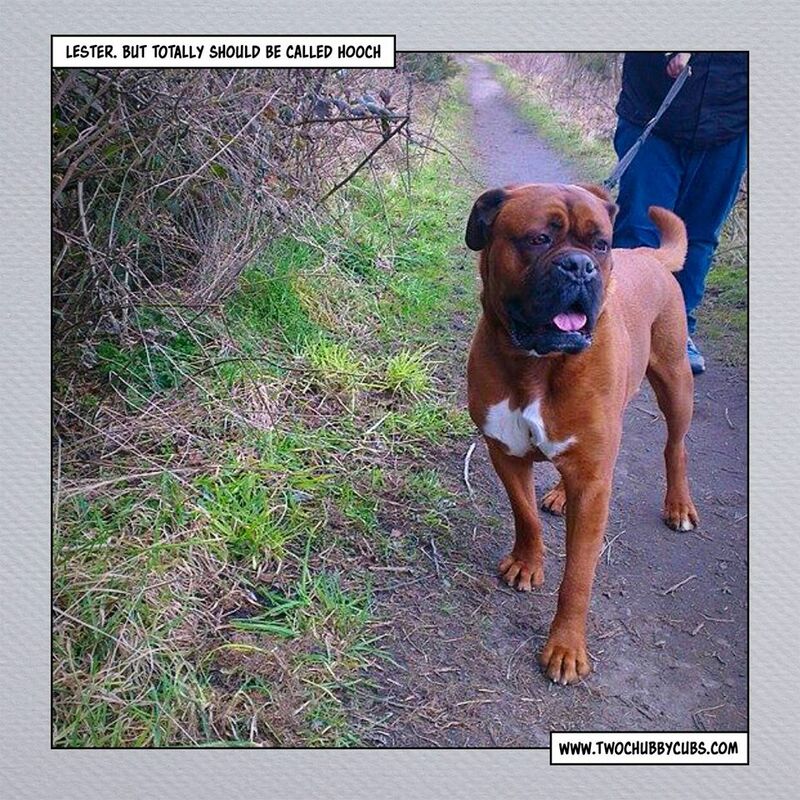 We spent today walking Lester from the cat and dog shelter, but he was clearly Hooch from Turner and Hooch! Aw. OK, finally, tonight’s recipe. I’ll make a confession – we totally forgot to think of a European recipe this week, so this is a little last minute. 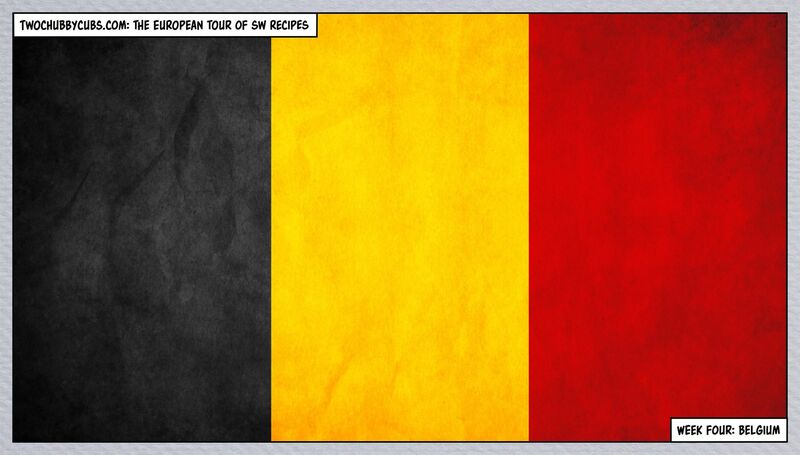 It’s a snack idea using brussel sprouts, which to be fair were cultivated in Belgium. 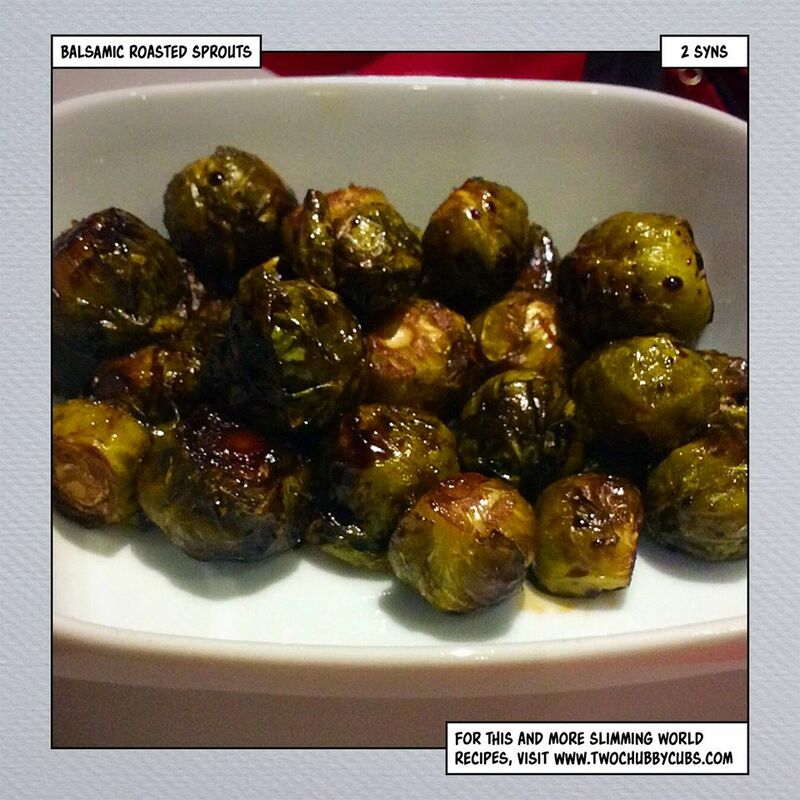 We may revisit this one but actually, the sprouts are delicious hot or cold as a snack! top and tail a bag of sprouts (take outer leaves off, cut the stem off the bottom). Get a tablespoon of decent olive oil (6 syns) and a good few glugs of balsamic vinegar. Mix them well and put onto a baking tray and sprinkle with some salt. Into the oven on 180degrees for twenty minutes, give them a shake and then cook for another twenty. Serve hot or cold and keep the windows open, because your bumhole is going to be backfiring like an old car. This easily served us twice over, so the two syns in the picture above could actually be lower (I decided that a serving was 1/3 of a bag of sprouts). Enjoy!